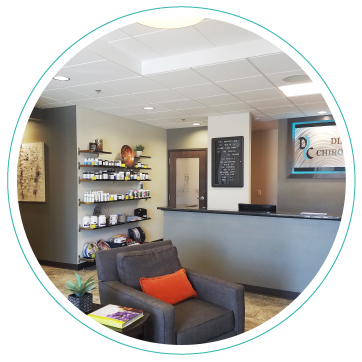 Our chiropractic website is especially designed for health-conscious folks in Sheboygan. As Sheboygan chiropractors, we get to help people who suffer from a variety of health issues. Naturally, chiropractic helps traditional neck and back problems, but chiropractic has also produced wonderful results with a variety of organic and systemic problems. Chiropractic is safe. Chiropractic is natural. And chiropractic works! Find out why other Sheboygan-area residents prefer the chiropractic care that we provide at Dirker Chiropractic. Contact our office to arrange a consultation today and find out if you’re a good candidate for today’s chiropractic care! Our chiropractors Sheboygan look forward to helping you discover how chiropractic care can help! Our team is dedicated to support you along your health journey. Whether you are looking for short-term relief care or are ready to take your health to the next level, we're here for you. Friendly and caring, you'll feel right at home from the first day! I’ve been a patient of Dr. Joe for years and he’s done wonders in preventing me from further damage to my back. Can’t say enough great things about Dirker Chiropractic! Dr. Joe is the best and truly does what is best for each patient.